Hobbs & Porter manufacture stainless steel bullnose edged kitchen worktops for domestic kitchens throughout the UK. 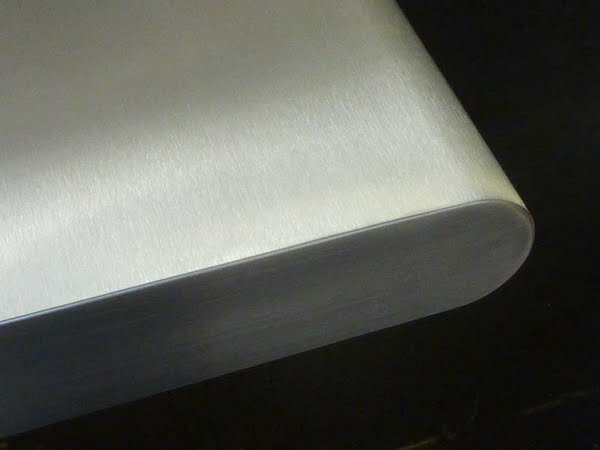 Stainless steel bullnosed edge kitchen worktop 50mm thick. 304 stainless steel grade used.